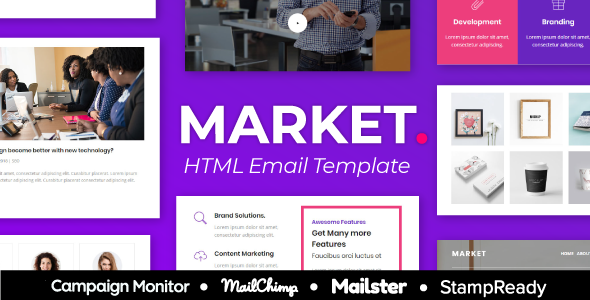 30+ Modules Email templates Compatible with StampReady Builder, MailChimp, Campaign Monitor, Mailster, HTML and other major email marketing platforms. 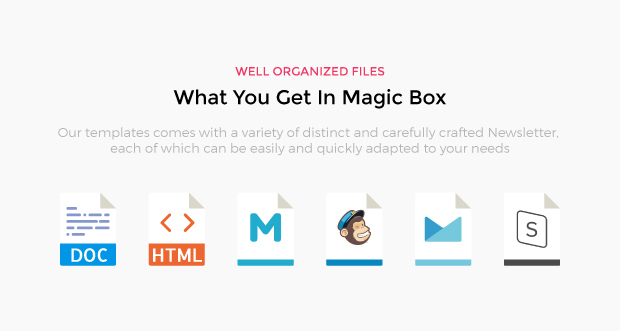 and is completely customizable. Market is Professional, Time saving and clean Email newsletter Market is perfect for all who want to Connect with your subscribers and make more sales.